Do you ever wonder what to say in your prayers for strong-willed children? Defeated, I sat on the kitchen floor in a pile of tears. Our day, which was supposed to be a fun time together, was reduced to tantrums, yelling, and lots of tears. Yet if I am honest, I recognize that this place of frustration and heartbreak is something I experience often. 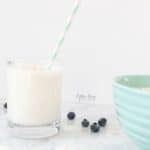 Parenting my strong-willed child has often left me overwhelmed, frazzled, and wondering how to manage the chaos. At that moment, I knew I needed more than a few strategic parenting tips to help us thrive as a family. I knew God himself needed to reunite our hearts and change all of our attitudes. Without His powerful presence, we were on a path of destruction and our fragile parent-child relationship hanging in the balance. Over time, the Lord has revealed just how powerful war room prayers for our children can be. However, I didn’t expect God to change my heart in the process. Releases the grasp we hold over them. It’s easy to get territorial and hold tight to our God-given role as their parents. When we start praying deep, war room prayers over our children, it reminds us that they truly belong to the Lord. As parents, we are simply stewarding the gifts we’ve have been given. While it’s our job to shepherd and guide our children, it’s also our responsibility to release them back to the Lord. Reminds us that God has a plan for their life. While we would love for our journey through parenthood to be easy and filled with mainly good moments, we need to keep an eternal perspective and remember our duty to train up children for God’s glory. Just like all of us, God has a plan for our children and He will guide them on this journey through life. Restores our strength in weary moments. In seasons of battling a strong-willed child, a parent (like me!) can easily feel defeated and overwhelmed. Yet kneeling before the throne of God, we can find hope, strength, and encouragement to press on. As we come face to face with the grace of God, it’s there we can learn to give grace to our children, even when it’s not deserved. As I watch my child struggle and wrestle with the concept of “no”, or following directions, I see this behavior for what it really is, sin. My child, even at a young age, is a sinner and in desperate need for salvation. I know that while sin manifests itself in many ways, the Lord’s grace and mercy can change a life and heart in the blink of an eye. 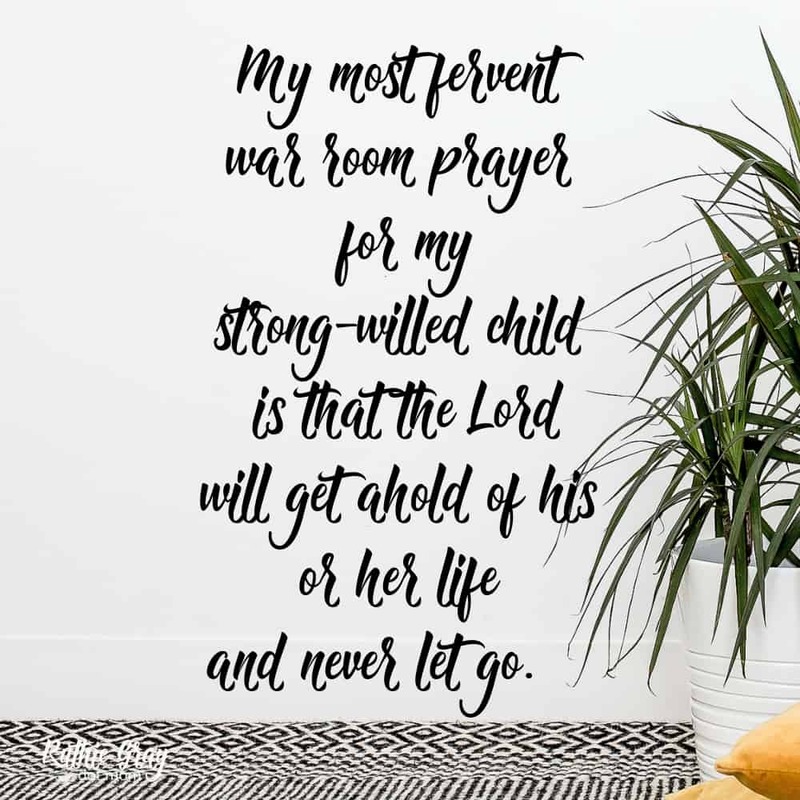 My most fervent war room prayer for strong-willed children is that the Lord will get a hold of his or her life and never let go. There are times when my child seems out of control and unable to manage himself and his emotions. Yet I delight in knowing that the Lord gives us the ability to be self-controlled in His name. With God’s help, my child can learn to press pause on the chaos and make better choices. While sometimes our strong-willed child surprises us and is quick to obey, many times he fights hard the battle of the flesh. Just like adults, my strong-willed child battles fleshy desires and making choices to walk in the way of the wise. Help my child with The battle of his flesh. He struggles to obey and to choose what is right. May He make wise choices, even when battling what he really wants to do, because of His love for you and his family. Let the reward of doing good outweigh the immediate gratification He gets from doing the wrong things. May you grow him in wisdom and may He learn to obey even when it’s hard. As a mom who loves the Lord, it’s my prayer that my child may surround himself with children who love the Lord, too. I pray that by being around those who love God and want to please Him, that those relationships will help keep him accountable and on track. When a strong-willed child struggles in the home, the entire family struggles as well. 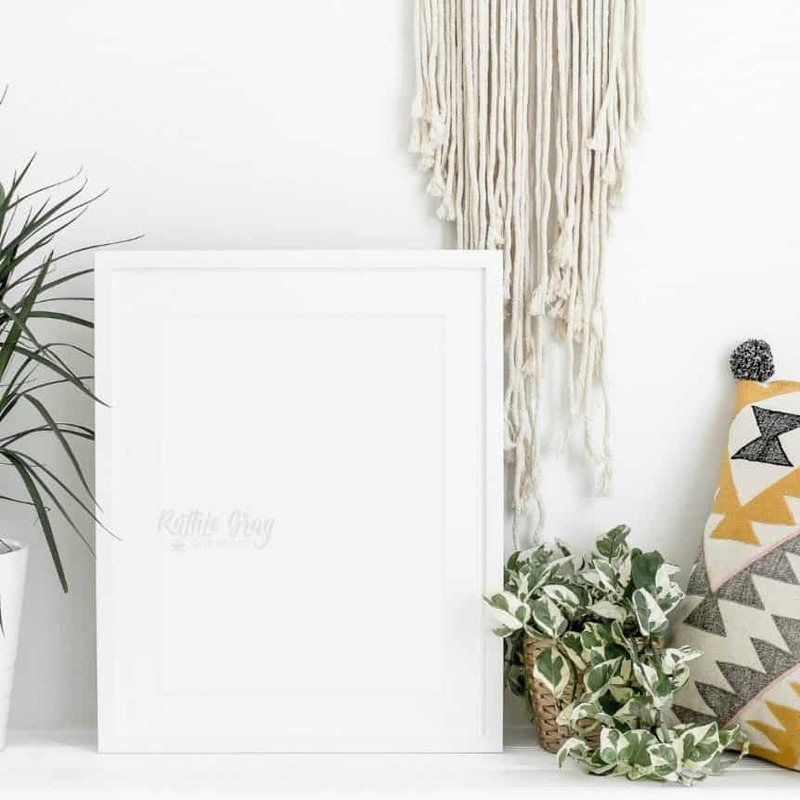 Whether parents are constantly correcting disobedience or they’re dealing with excessive whining, battling a wilful child can put a strain on family relationships. One of my biggest areas of prayer for my child is for our family unity. Even when the correction has to be given or consequences handed out, may we both give equal grace to each other. May we quickly move past the messy moments to love each other and stay connected as a family rooted in Christ. 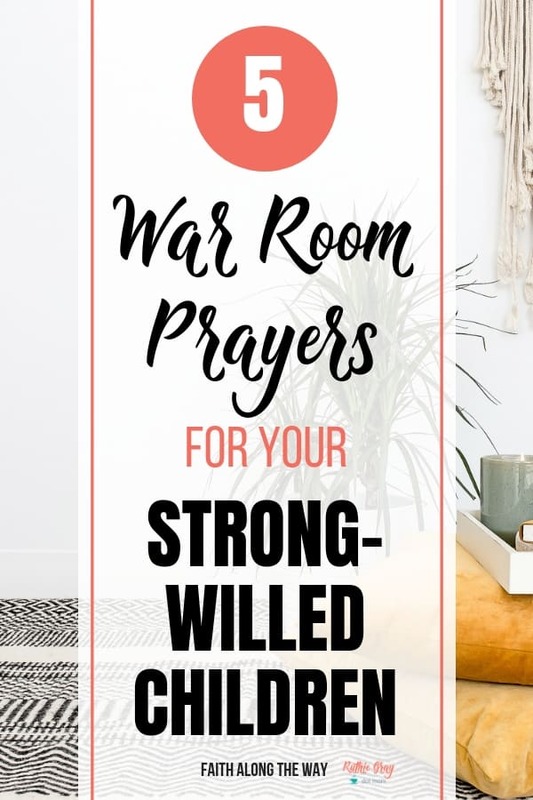 While being a parent to a strong-willed child may not be easy, praying these simple war room prayers helps keep your family grounded in love and rooted in faith. Trust that God has a plan for your family, even in seasons of struggle, and turn to him for strength. He will get you through and give you hope even on your toughest days. Sarah Ann Goode is a perfectly imperfect wife and mother and is thankful for the saving grace of the Lord. When she’s not busy folding yet another load of laundry or comforting a crying child, she enjoys studying God’s Word, writing, and spending time with authentic friends. 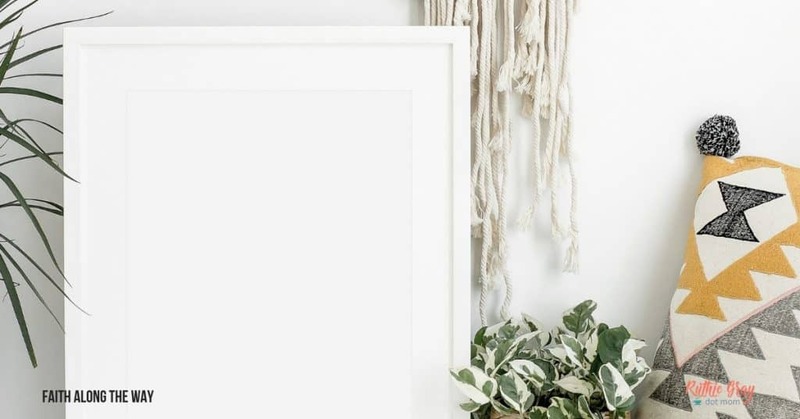 She’s passionate about helping busy women thrive in faith, family, and home at https://faithalongtheway.com. Join her for biblical encouragement and honest transparency on this crazy journey called life. Great prayers. So many times I get stuck between sanity and taking time out to really enjoy the precious moments I have with my children. May God help me to make decisions for Him in all the moments – good and chaotic. I think god lead me to your words as a mother,to a mother. I have been praying for my son who is 29 and now has really got himself in a mess. I needed to hear your favorite war room prays ,they were like talking about me and my son. I don’t know if you would understand what I’m saying but you have helped me to learn to pray in a new way and you have encouraged me. Thank you ! And I thank you God! Isn’t God good to lead us to people who minister to our direct needs? So thankful for your comment, Peggy, and I pray God’s peace and comfort to your soul as you use these prayers for your son. I know the heartache a mom experiences with grown children, so praise the Lord for small blessings!